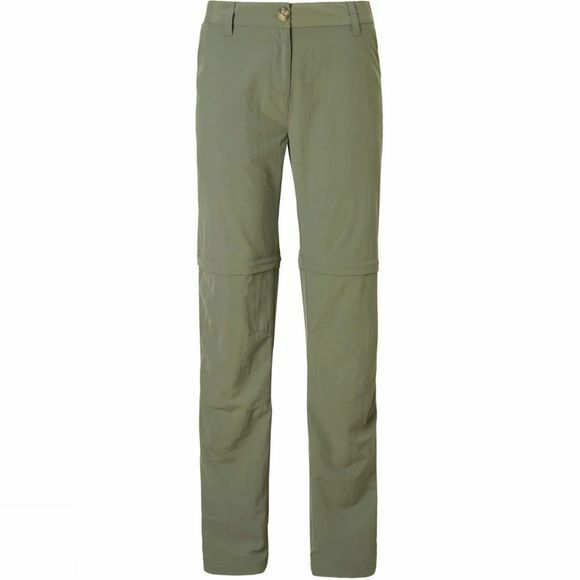 The Womens NosiLife Zip Off Trousers from Craghoppers is a pair of trousers that are suitable for wherever your day may take you. Whether you are on a wild trail hike or wearing for your commute to work the trousers will keep you warm and has all the features you may require on your day out. The trousers also allow for when on warmer days, the bottoms to zip off and be converted into shorts.